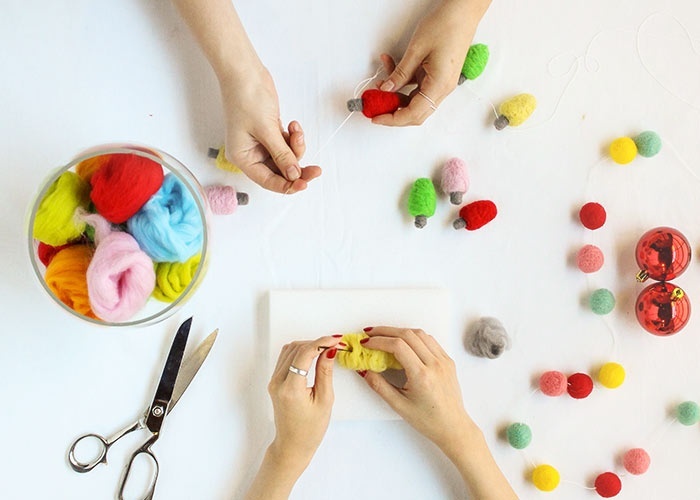 Needle felting is our most current obsession. Not only is it fun, but easy too, requiring little in terms of equipment or training. 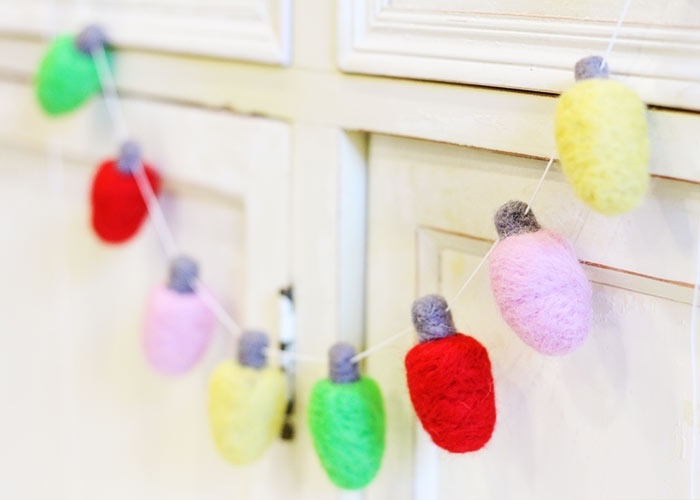 With the holidays right around the corner, we decided to make a felt Christmas lights garland that’s perfect as a tree decoration, or for adding a bit of color to a mantelpiece, a bar cart, and more. 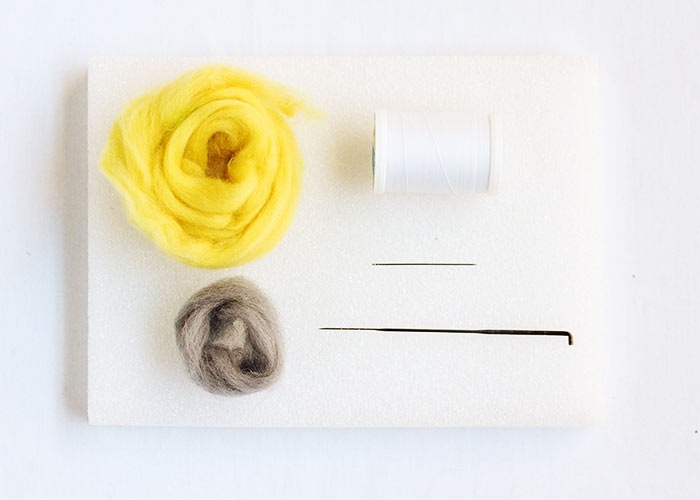 The quick take on felting is that the fibers of wool actually have scales. When you poke at it with a barbed needle, you cause the scales to hook on to each other and become entangled. 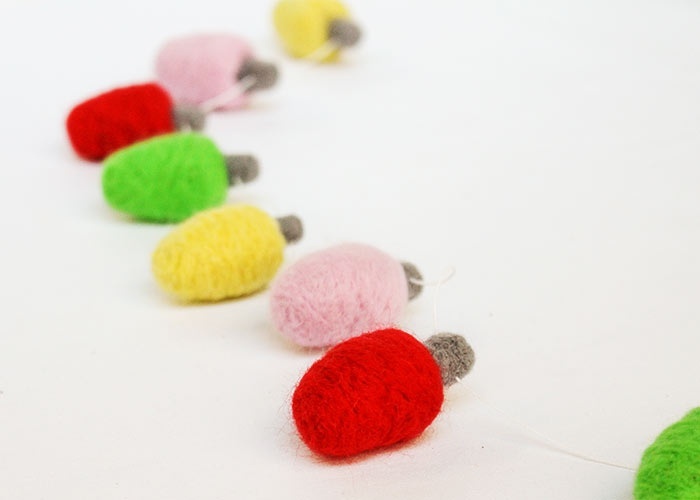 The more you work the wool, the denser it becomes, allowing you to shape the wool simply by poking it repeatedly. First, roll the wool roughly into shape. Using the needle, start to poke the wool at the loose end to secure it to the body. 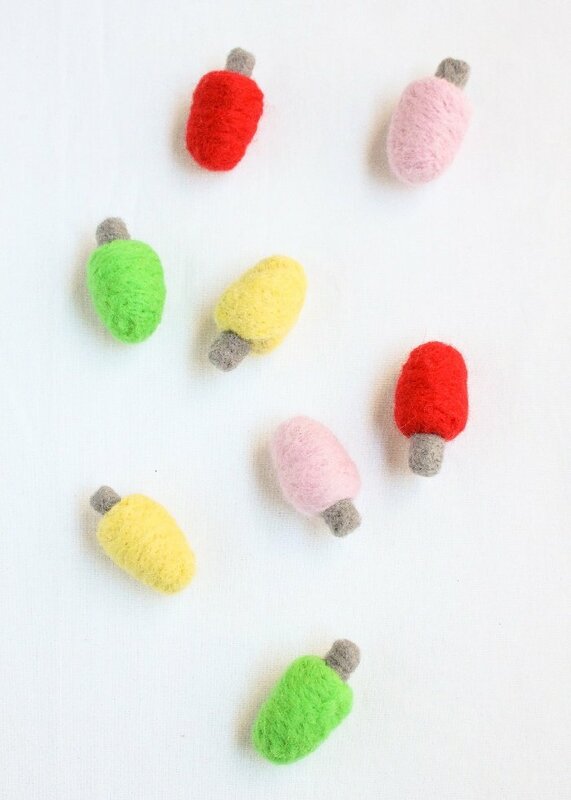 Continue to work the wool until the body starts to resemble a Christmas light bulb. 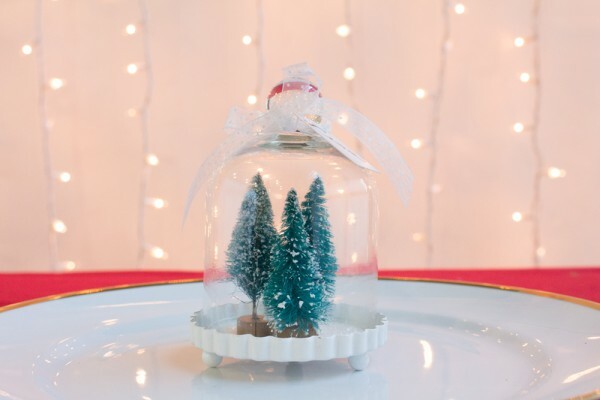 Next, make the base of the bulb in the same manner with a little bit of gray wool. 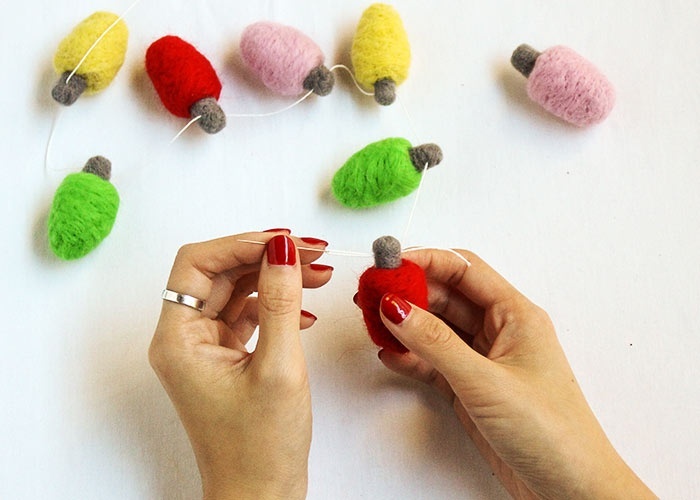 Attach the base to the bulb using the same technique of poking fibers until they “hook” on. 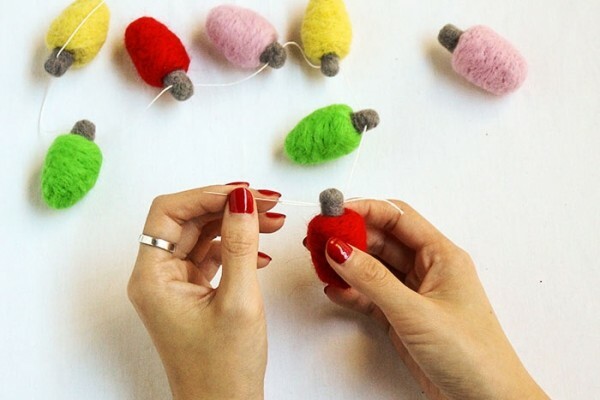 When finished, string your light bulbs together with a needle and some heavy thread. So what do you think? 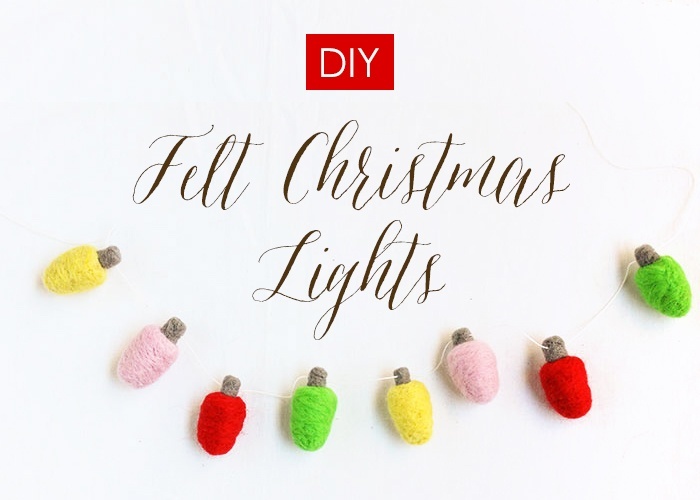 Do you plan on creating your own DIY felt Christmas lights garland for the holidays? We love to hear from our readers, so please feel free to leave your comments below and don’t forget to share your own DIY projects with us on Instagram at @beau_coup.